During our project, we were inspired to create orchard art too! 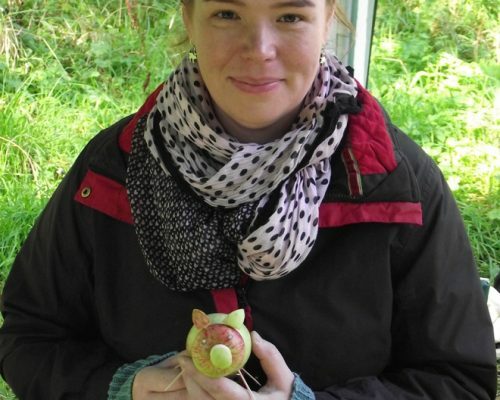 Students and people with learning disabilities at Hereford Community Farm created papier mache creatures for an accessible art trail through the orchard. The trail is wheelchair accessible trail and includes lots of sensory elements so that people with disabilities can enjoy the experience as much as any visitor. 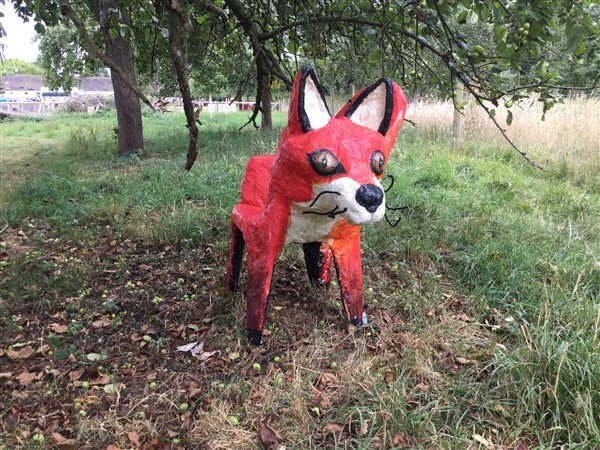 A papier mache fox created for the Hereford Community Farm sensory art trail. 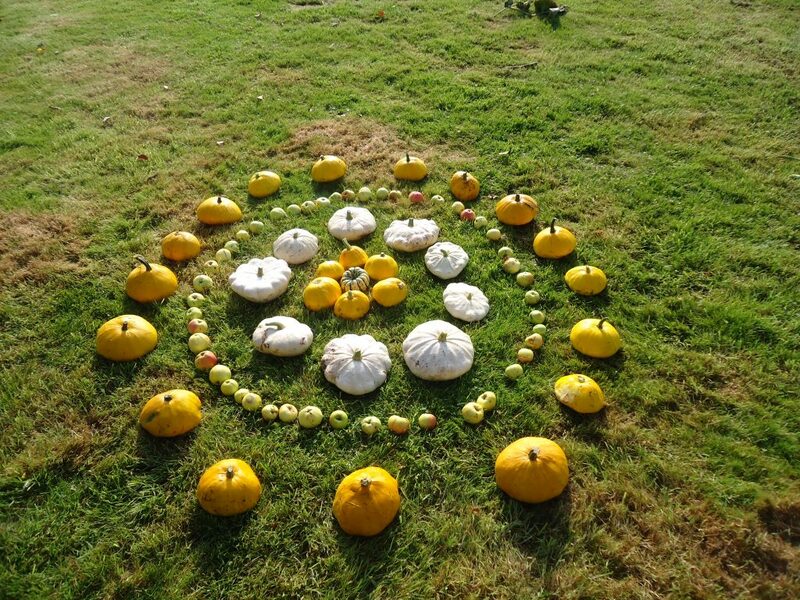 Land art created from squashes grown at Hereford Community Farm. 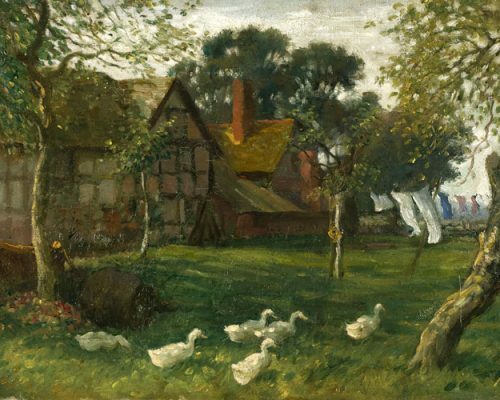 The Farm at Warham, by Brian Hatton (1910). 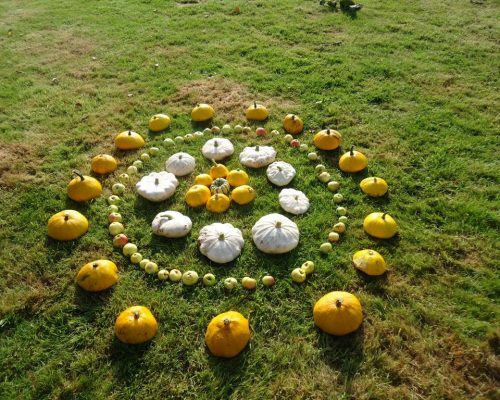 Land art created from squashes. Luke’s Orchard! is a short film created for us by Luke Jackson as part of his Duke of Edinburgh award. Over the course of one growing season, Luke photographed and filmed one of his family’s orchards. The pear orchard overlooks Ross on Wye and is nearing the end of its productive life cycle. The family intend to replace it with trees laid out on wires and posts, which are make it much easier to harvest the fruit. 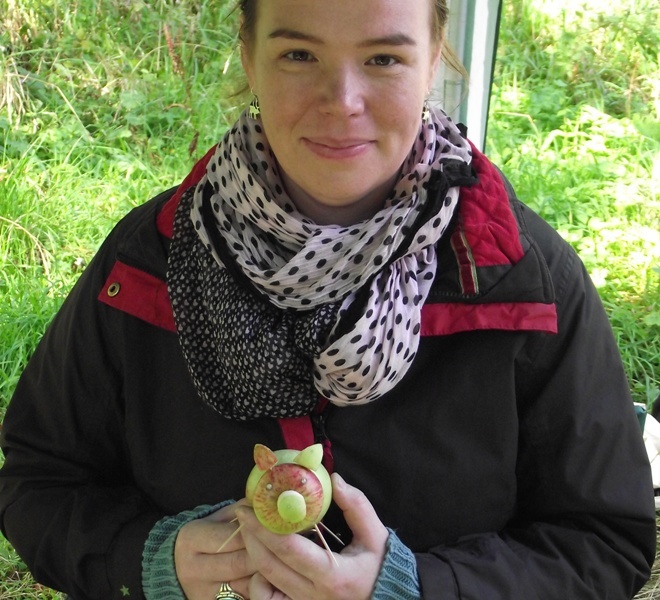 Herefordshire children tried out a range of art forms for themselves. 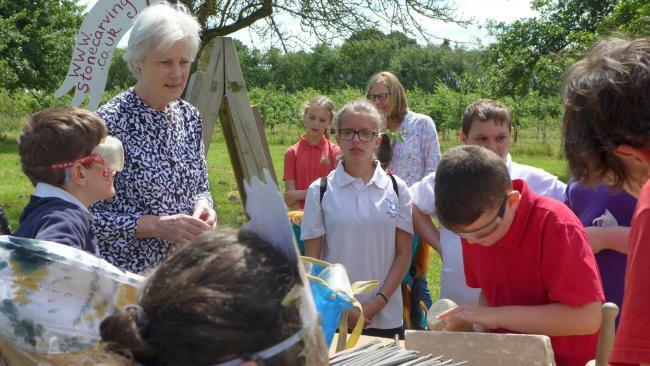 In the summer of 2016, Lady Darnley, Lord-Lieutenant of Herefordshire, joined children from three local primary schools and groups of people with learning and physical disabilities in an orchard near Breinton. 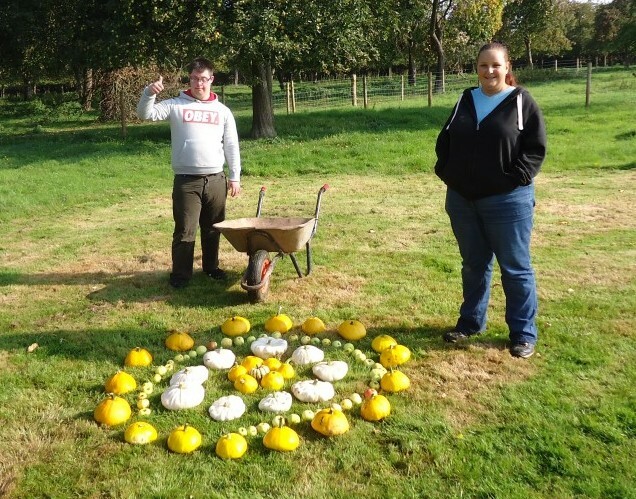 They worked with three local artists to try out stone carving, mask-making and land art. The children came from Staunton-on-Wye Endowed School, Blackmarston Primary School and Hampton Dene Primary School. When they arrived at the event, they met a group of children from Barrs Court Primary School who were dressed as orchard insects. Some of the school children performed dances for the visitors, as did ‘Everybody Dance’, a integrated company of performers of all ages and abilities. Thanks to Hereford Times for the full report and to the Bulmer Foundation for the funding. 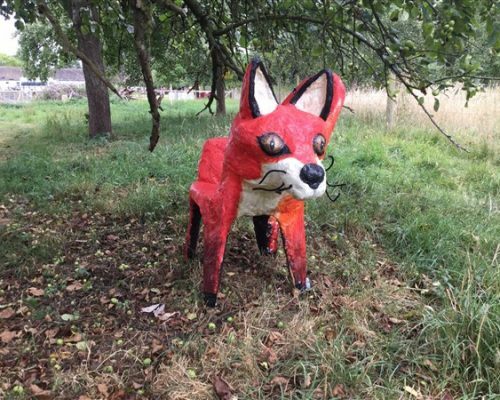 We discovered the work of a Herefordshire artist called Brian Hatton (1887-1916) who created art in the traditional orchards around Breinton during the early years of the 20th century. Hatton was born and lived in Hereford. 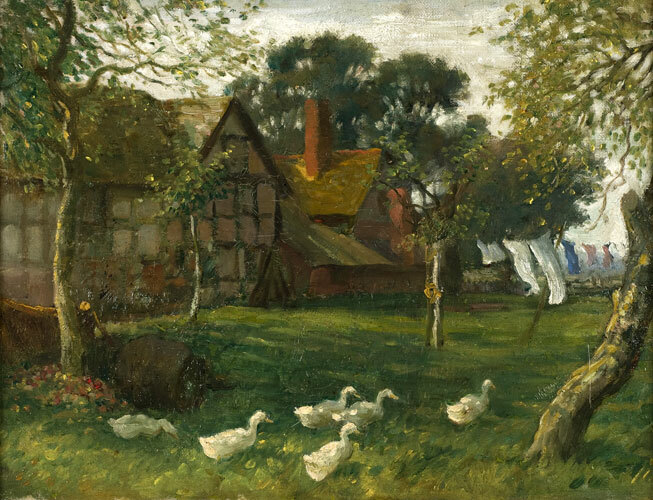 As a boy, he painted many scenes of rural life in Herefordshire and he won prizes for his work. in 1908 he travelled to Egypt to take part in an archaeological dig. Whilst there, he painted the people he saw as well as scenes of the landscape. 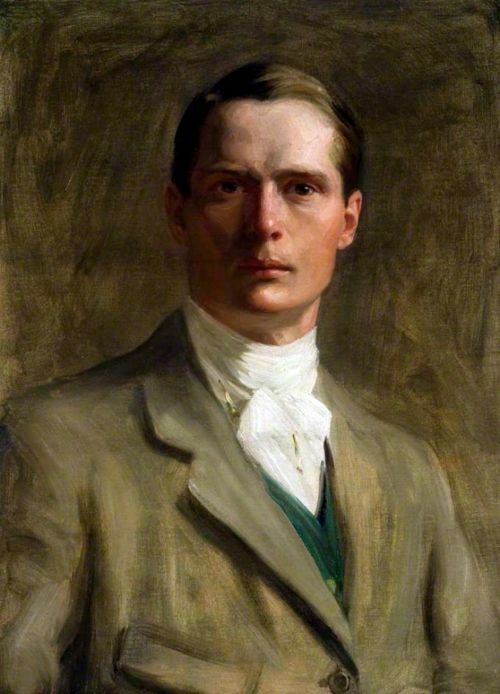 He set up a studio and began work as a professional portraitist in London before the First World War. When the war began, Hatton joined the Worcestershire Yeomanry and he was killed on active service in Egypt on 23 April 1916. Herefordshire Museums Service have a large collection of his paintings and drawings. You can see this collection on their website. Robin Thorndyke created the Brian Hatton trail in 2016 to mark the centenary of Hatton’s death. The trail follows a 5 mile route around Breinton. The Hatton images we have shown on this website are copyright of Herefordshire Museums Service, via Art UK, the website of the Public Art Foundation.